As Obama's health care overhaul comes closer and closer to becoming a reality, Republicans have begun to accuse Democrats of sabotaging the very process of making the bill into a law. 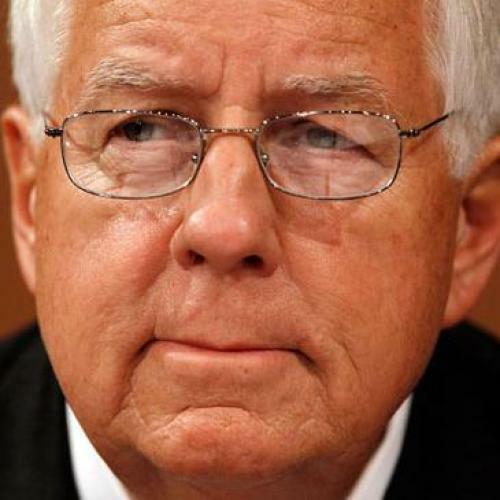 Mike Enzi--the ranking Republican member of the Senate HELP Committee--has accused the Democratic HELP staff of substantially altering the HELP bill as the plan was translated into its final legislative text, which was sent to the Senate floor last month. According to Enzi spokesman Michael Mahaffey, “there are 75 separate instances where they unilaterally overturned committee votes and member agreements.” He told me last week that the Wyoming Senator was “outraged” by the alleged discrepancies and brought them to the attention of HELP’s Democratic leadership, but failed to get a real response to his concerns. In response, a Democratic spokesperson from the HELP Committee says that the staff made “technical and conforming changes after the bill was marked up,” per standard procedure for Senate committees. “Senator Enzi still has raised only one issue about it with the majority, and in that case Committee staff readily agreed to modify the language in question,” the spokesperson said, while declining to specify the specific provision that was modified. In other words, according to the majority staff, the HELP Committee simply followed the normal Senate procedure of how a bill becomes a law. Enzi’s spokesman maintains, however, that the changes were “substantive,” not technical, and that the only way for the correct provisions to make their way into the final bill is when Harry Reid merges the HELP and Finance plans. “But we’re not holding our breath,” Mahaffey added. Some liberal observers tracking the legislation added they haven’t noticed major discrepancies between the versions of the bill, but few on either side seem to be following the issue very closely. At the least, Enzi’s claims are likely to bolster the Republicans’ newest campaign to call for greater transparency in the process itself. In the House, a petition requiring the final legislative text of all bills to be posted online at least 72 hours before a floor vote has gathered over 180 signatures--and reportedly even Nancy Pelosi’s support--and a similar campaign has managed to sway some moderate Democrats in the Senate as well. Enzi’s recent allegations go a step further, implying that the Democrats can’t be trusted if they have, in fact, been “violating member agreements and committee votes,” in Mahaffey’s words. But while liberals may believe the Republicans’ procedural complaints “make the legislative process sound like some kind of conspiracy”--as Chait observed earlier--perhaps the GOP-driven concerns are also simply a sign of just how far the health care negotiations have advanced. Now that a consensus on the legislation itself is now much more firmly into place, the bill’s critics have begun turning their focus from the product to the process itself.